You can freeze the blintzes. 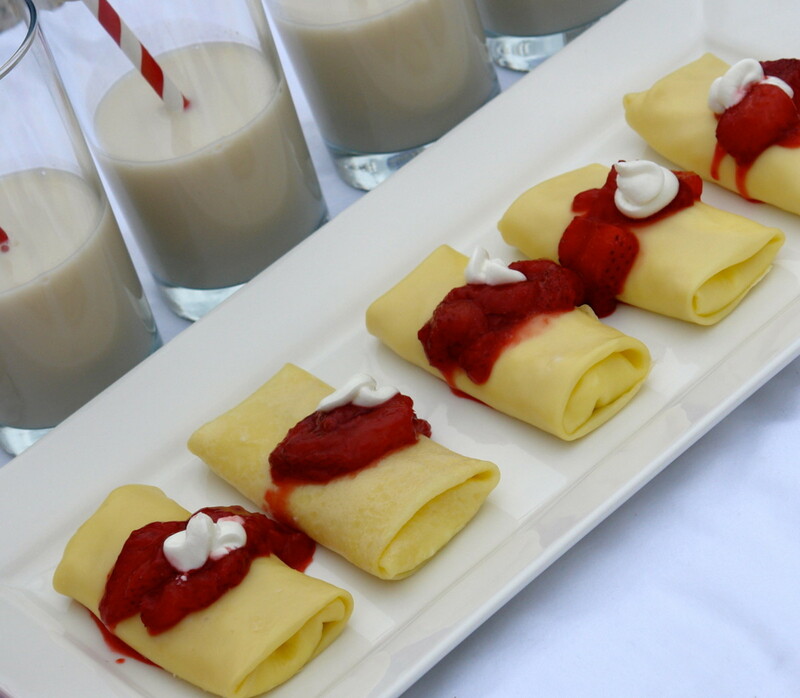 Put a layer of plastic wrap on top of blintzes (if you plan on layering them). Only pan fry before serving. Crepes are very delicate so be careful not to rip them. 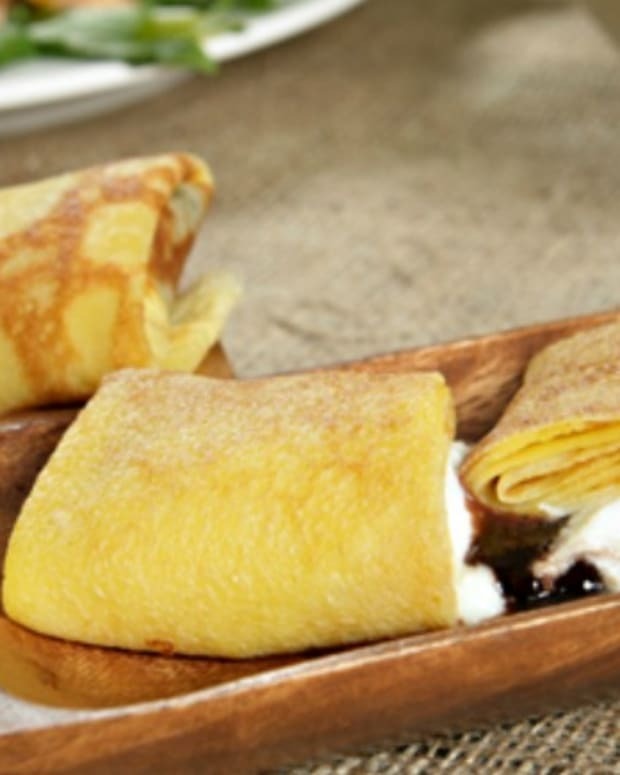 The crepes are parve and can be filled with a meat or dairy filling. Bon appetit! In a bowl mix TempTee Cream Cheese, sugar, vanilla, Ricotta, and sour cream. Set aside. In a Bowl blend together eggs, potato starch, salt, and 1 cup of water, until the batter is smooth about 30 seconds. 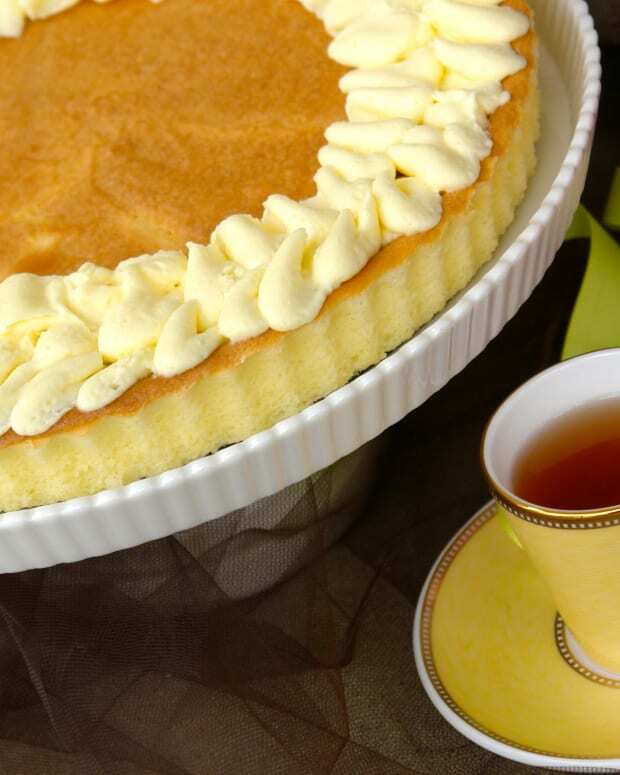 Using a ladle, pour a little less than 1/2 cup of batter into the pan, and swirl it around so it covers the bottom evenly pour back any excess. Cook for 30-45 seconds. With a spatula loosen the crepe around the edges. 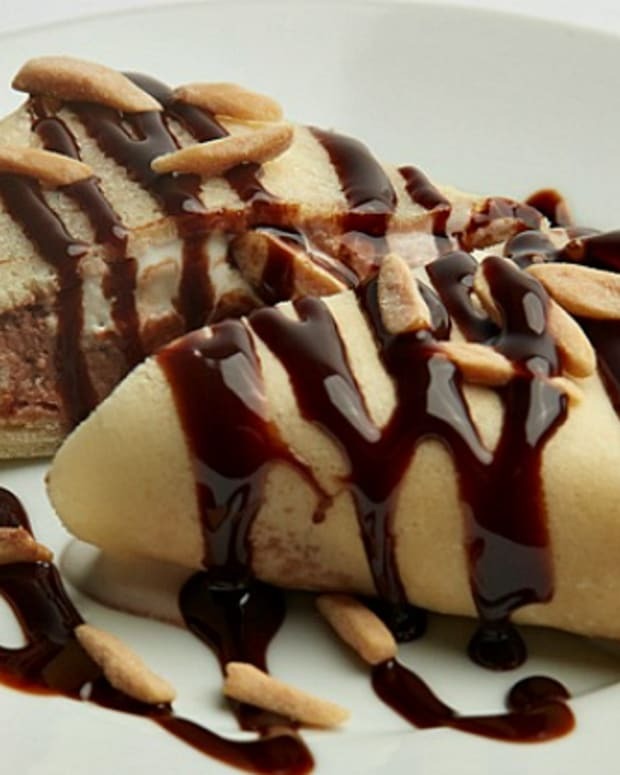 Flip the crepe onto a plate and repeat the cooking process for the remaining batter. Assembly: Spoon 2 tablespoons of cheese filling along the lower third of the crepe. Fold the bottom edge over the filling, and then fold the 2 sides into the center. 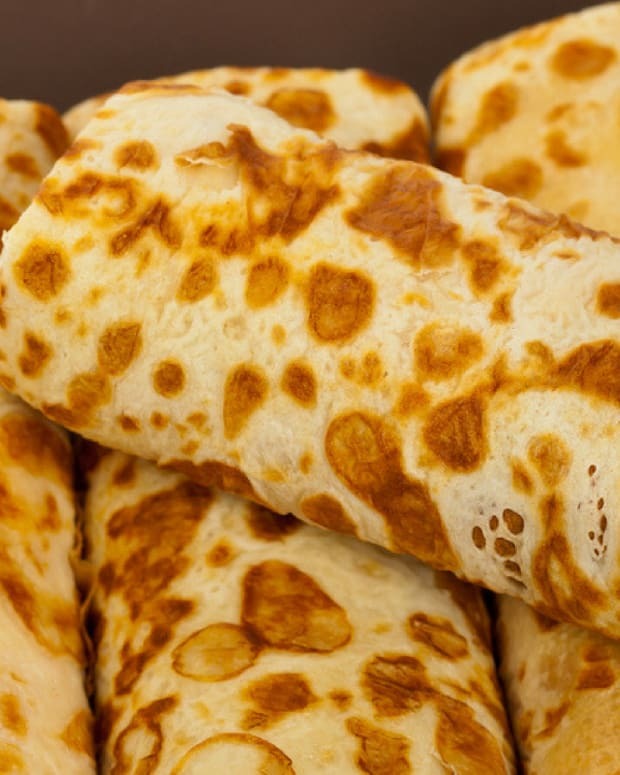 Roll the crepe away from you into a package. Place the blintz seam side down. Heat a skillet over medium heat. Brush with butter. 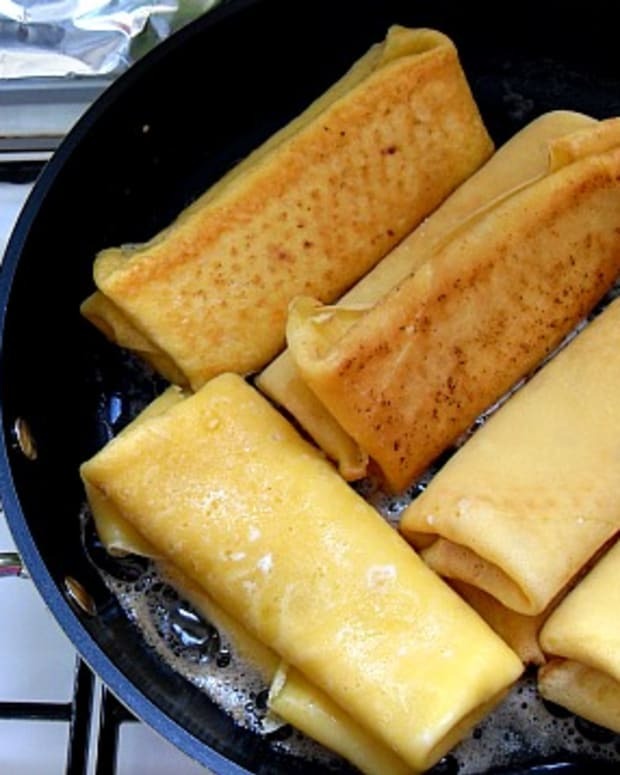 Pan-fry the blintzes for 1 minute per side until crisp and golden. 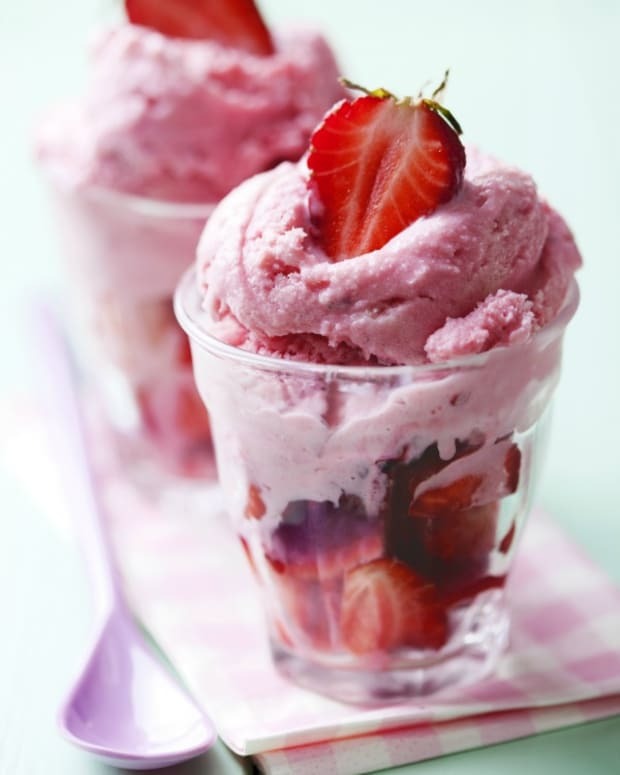 In a sauce pan on a Medium heat, cook strawberries with sugar and water for 7-10 min or until sauce thickens.